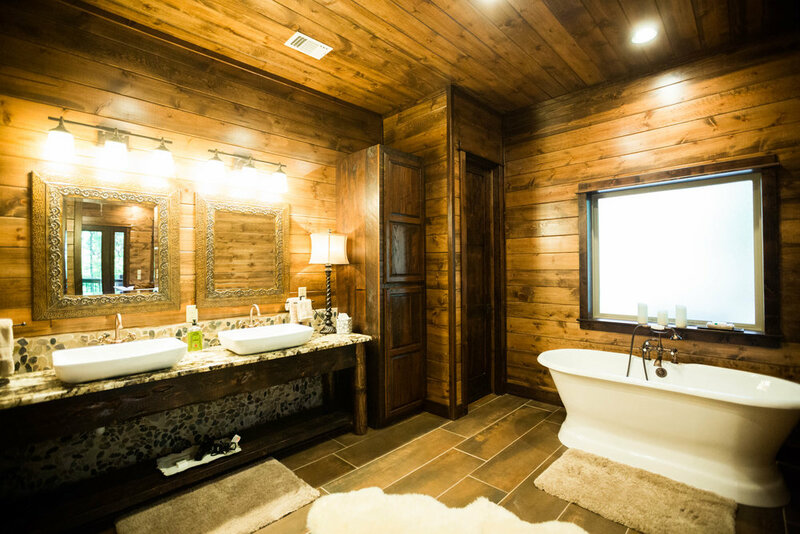 Lasso the Moon is a brand new luxurious 2600 sq. 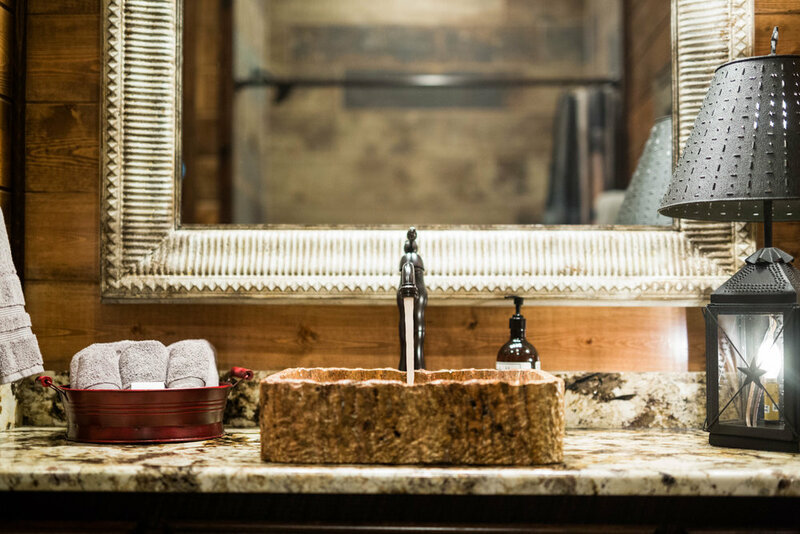 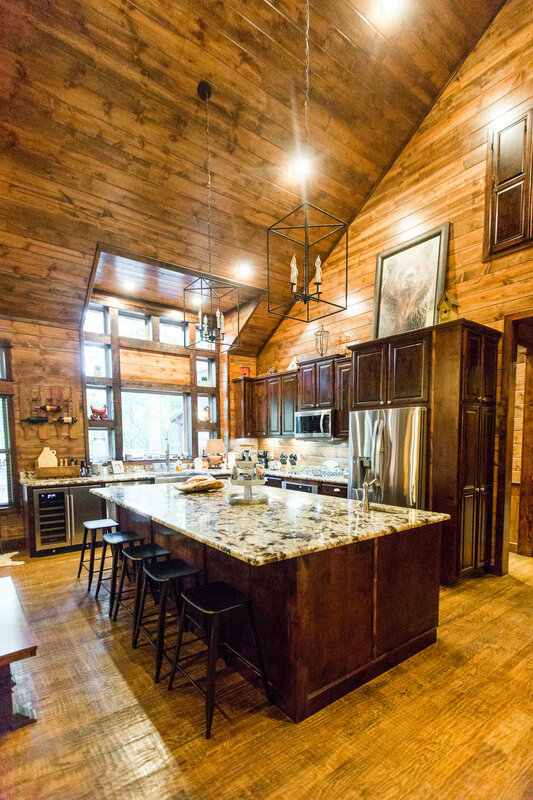 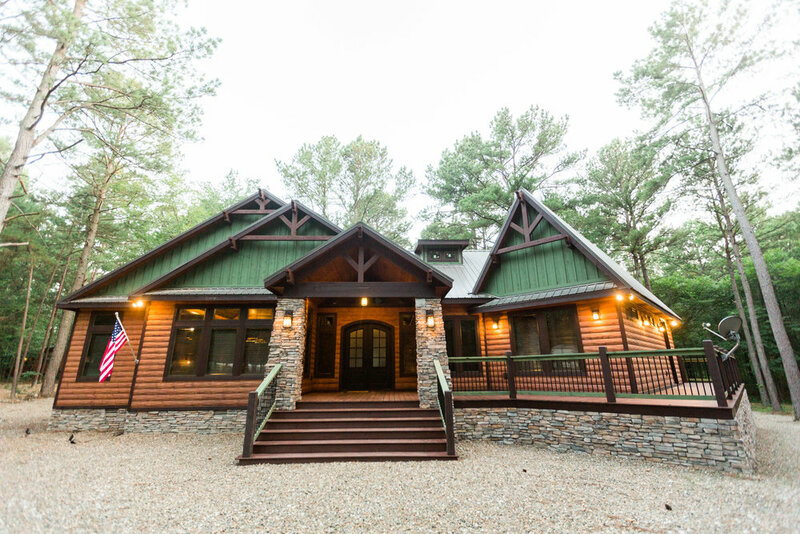 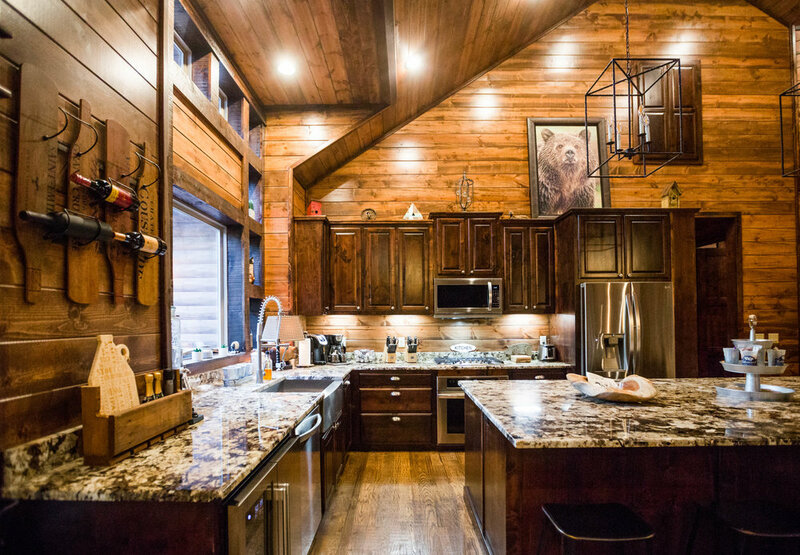 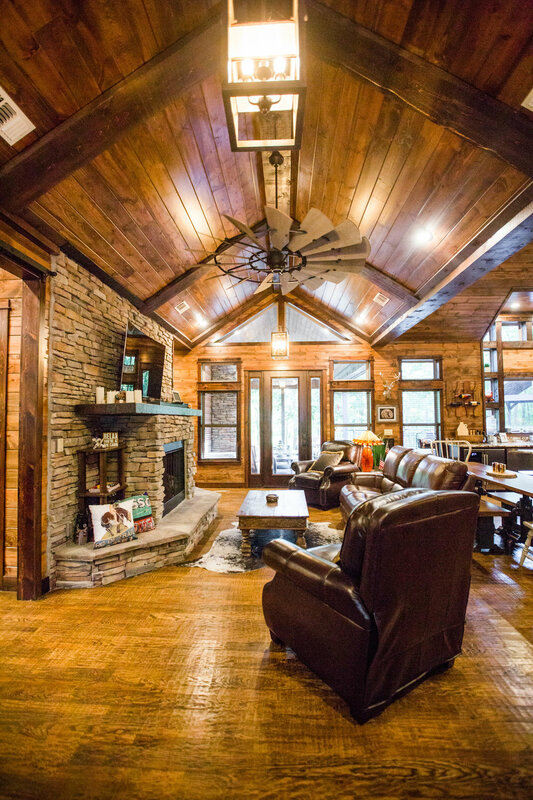 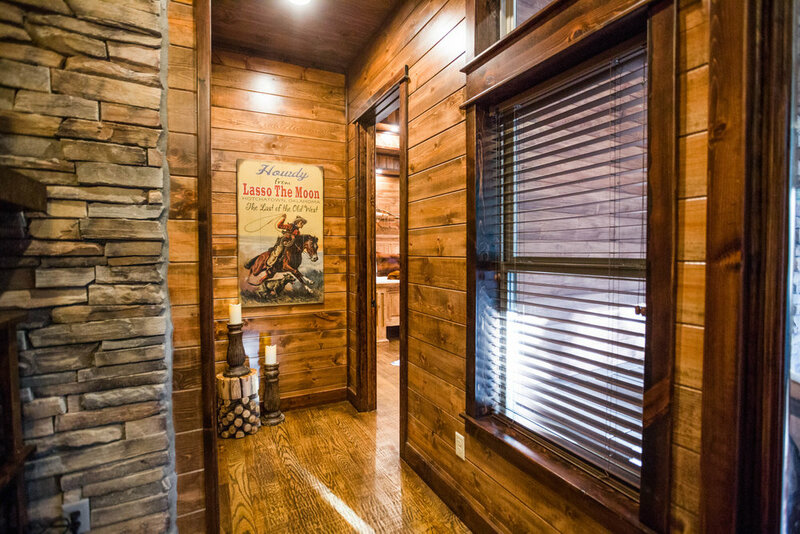 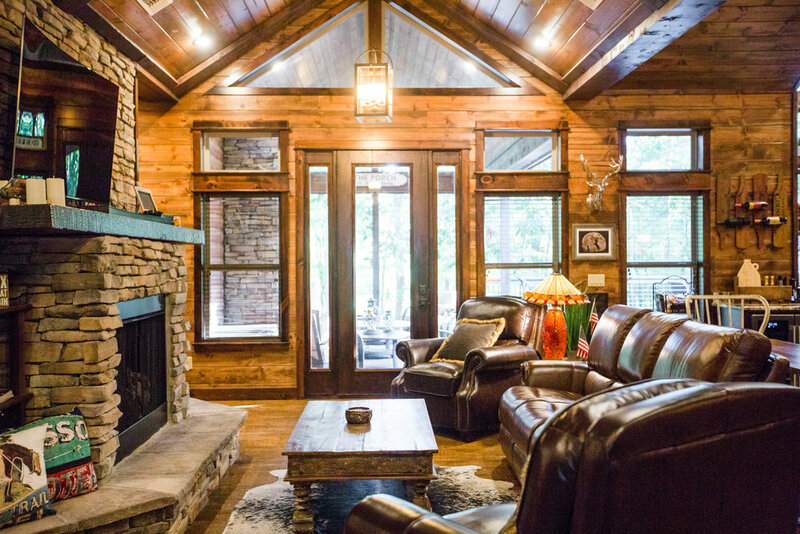 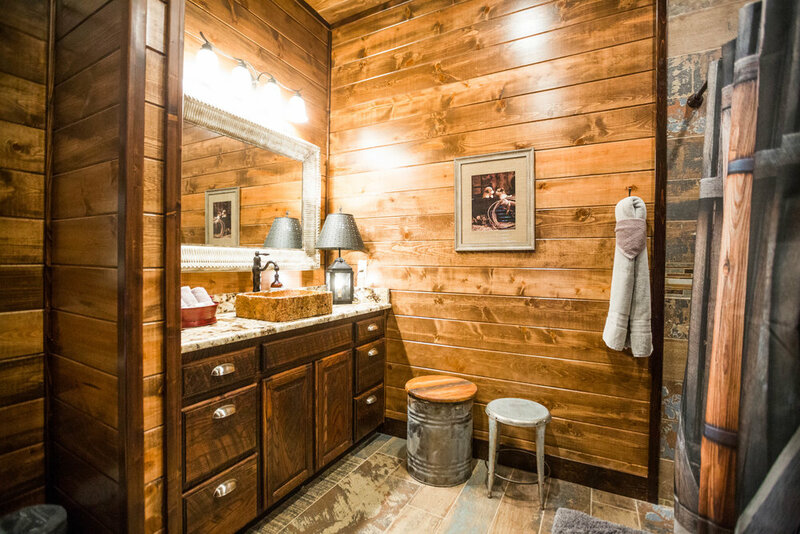 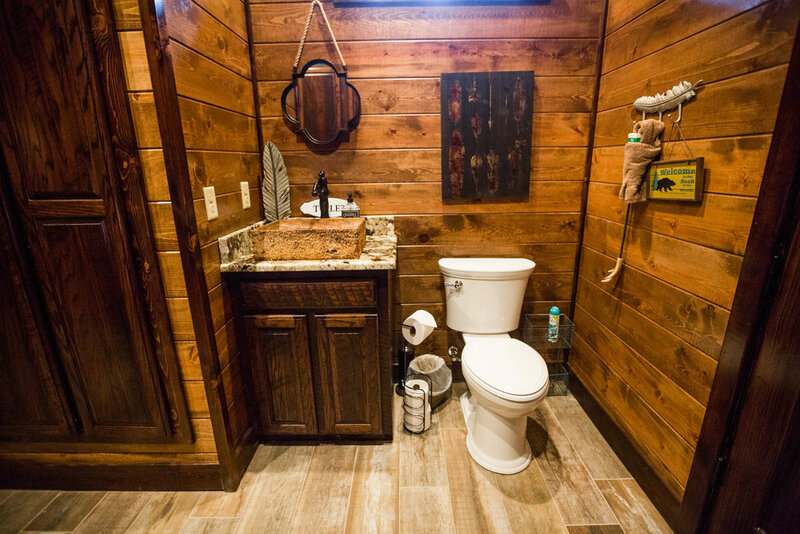 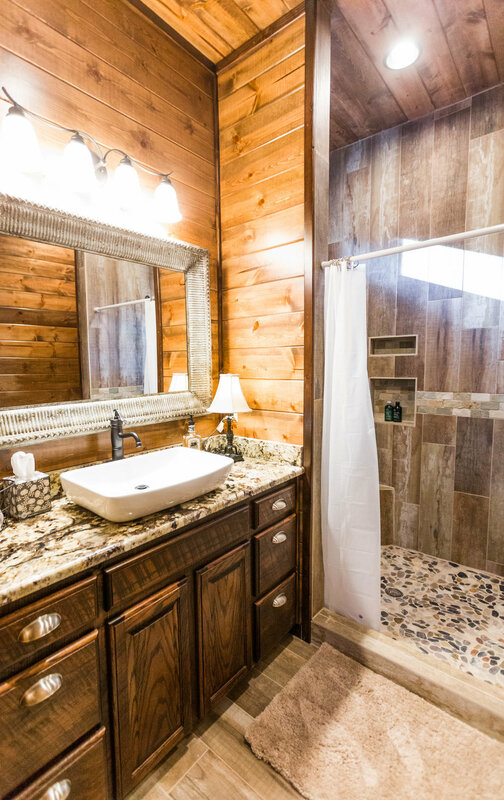 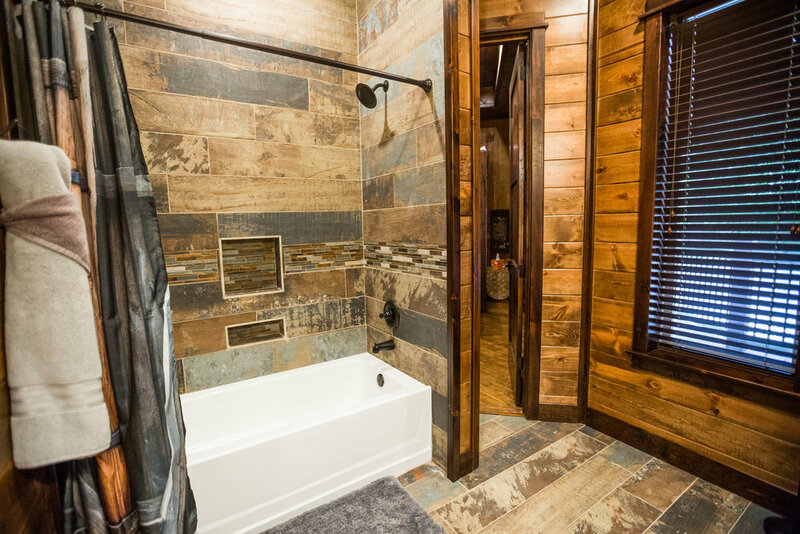 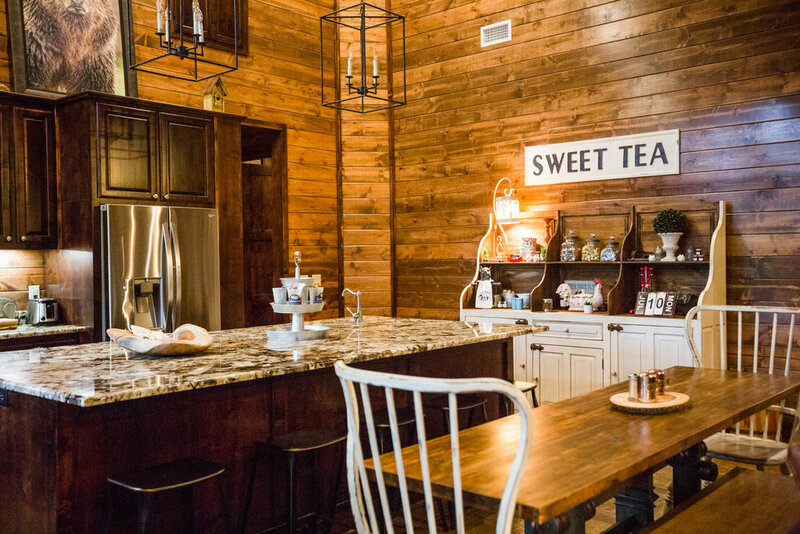 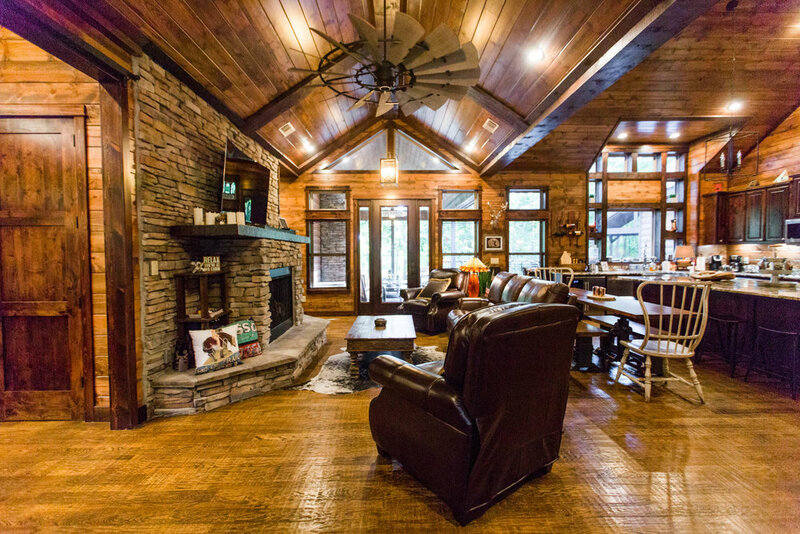 ft. open floor plan, single-level cabin located in the popular Lakewood Estates Development in Broken Bow, OK, near Beavers Bend State Park. 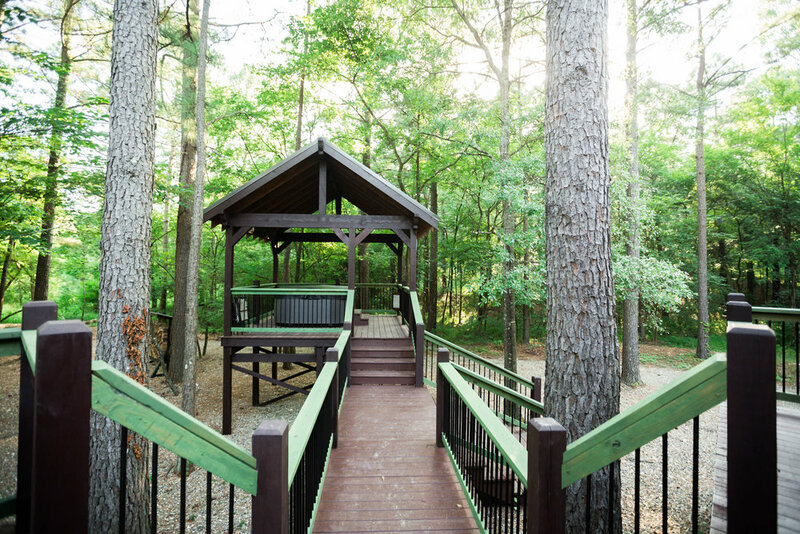 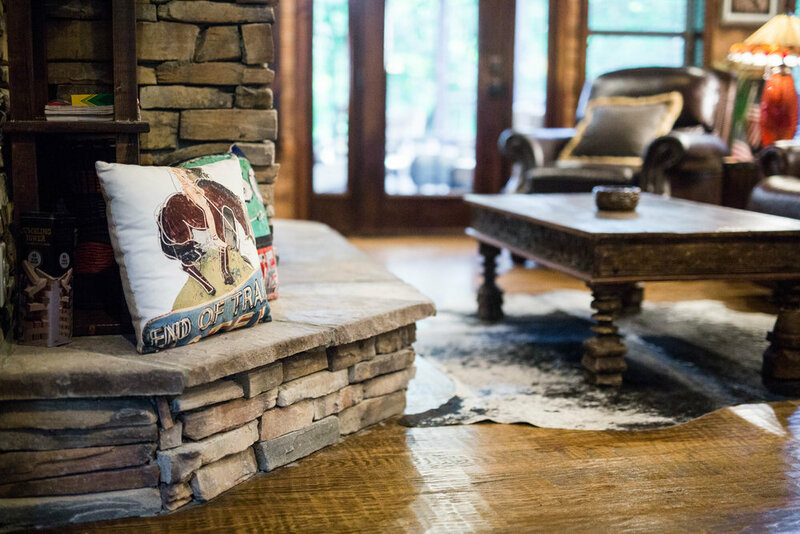 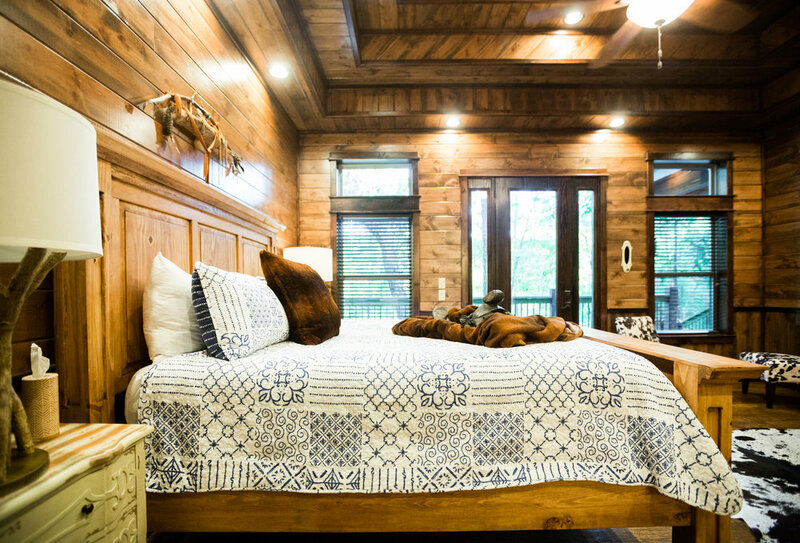 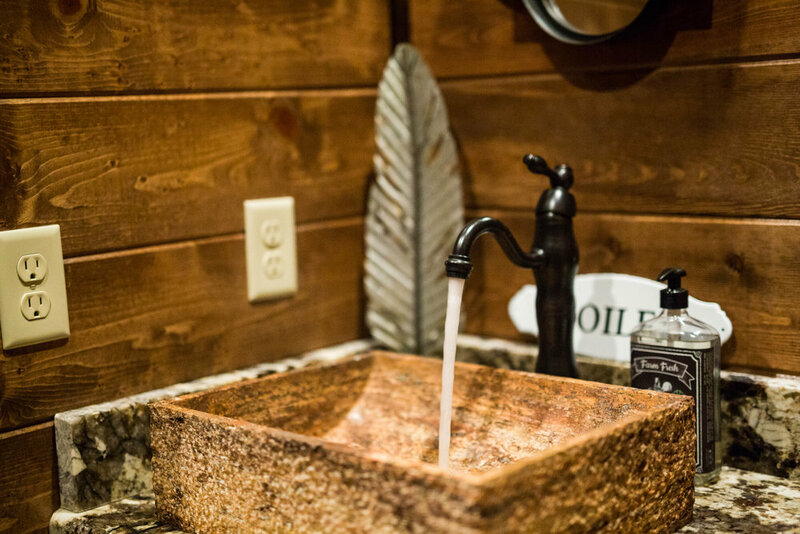 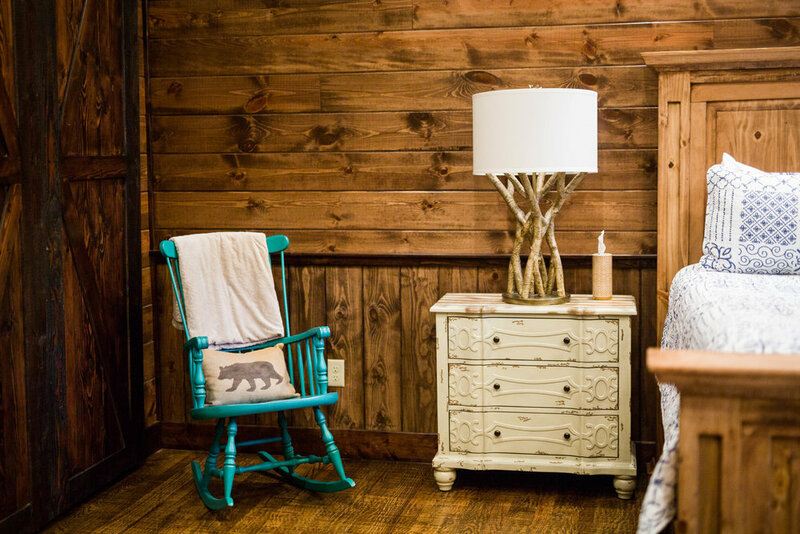 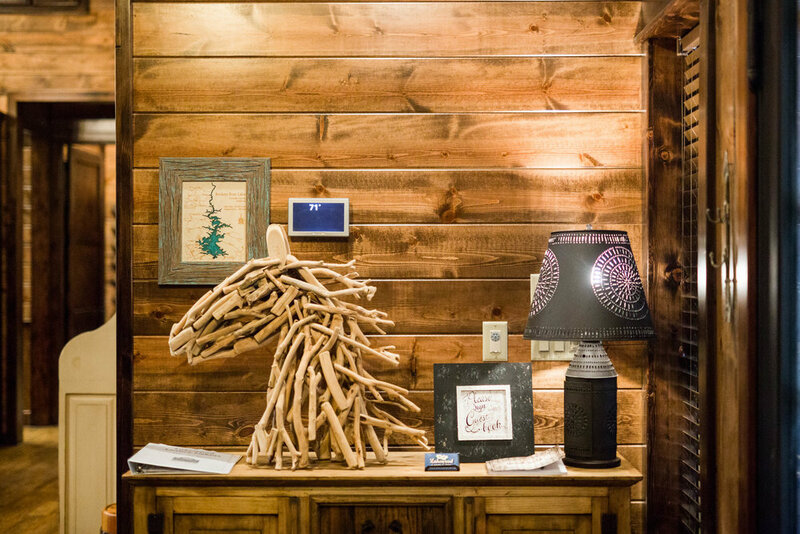 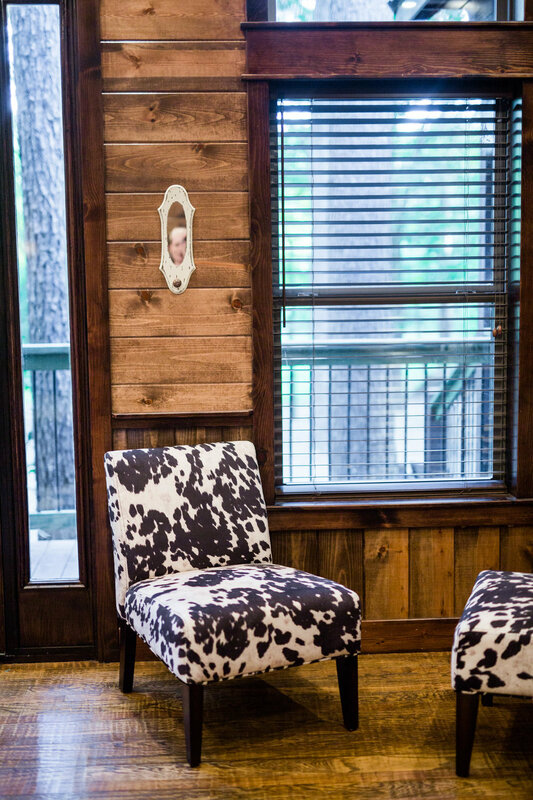 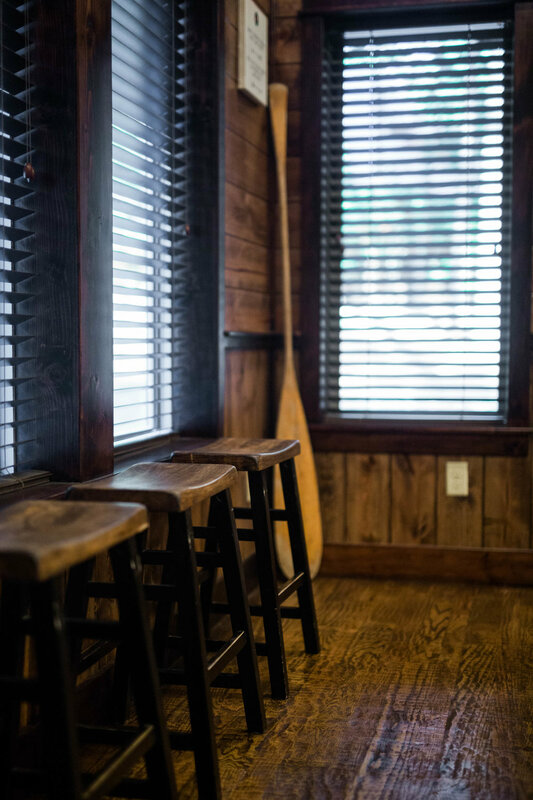 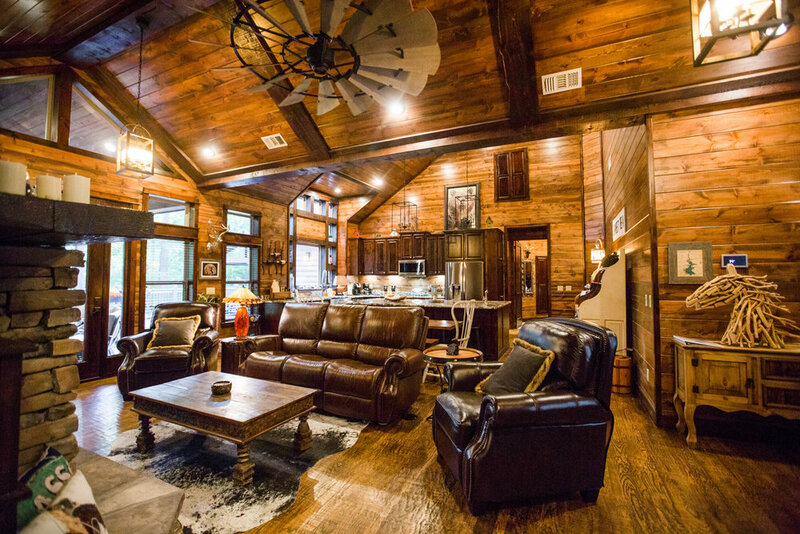 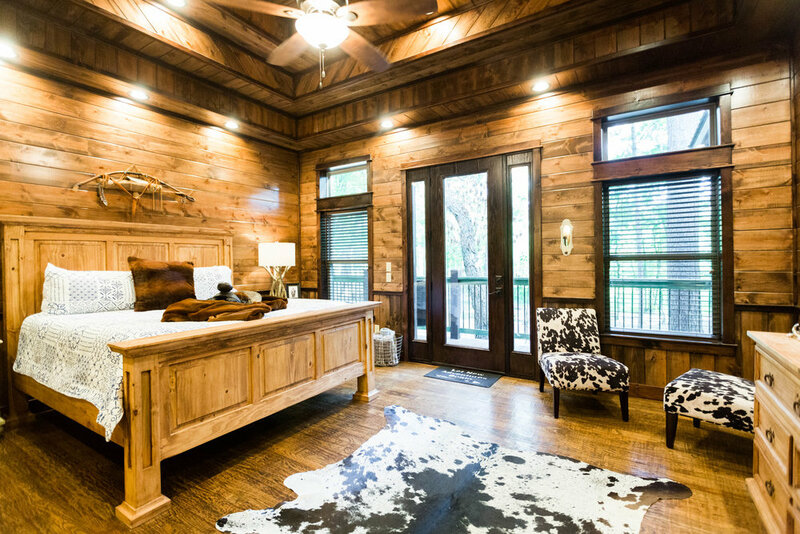 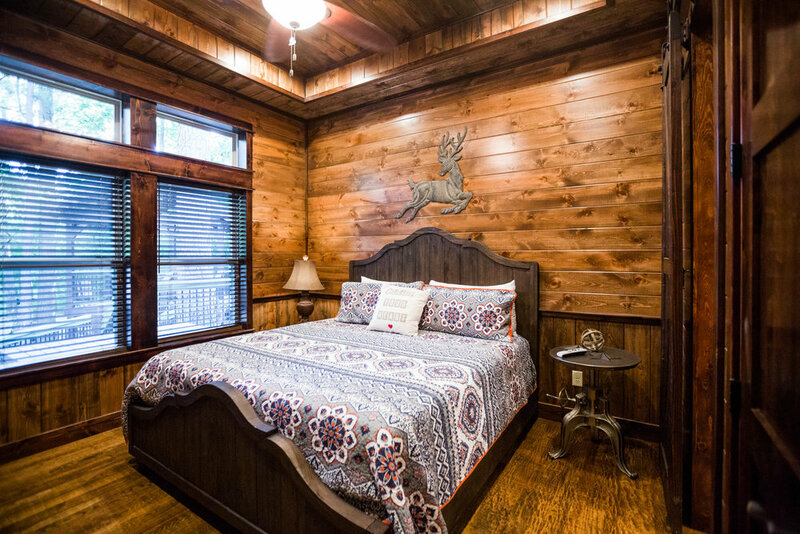 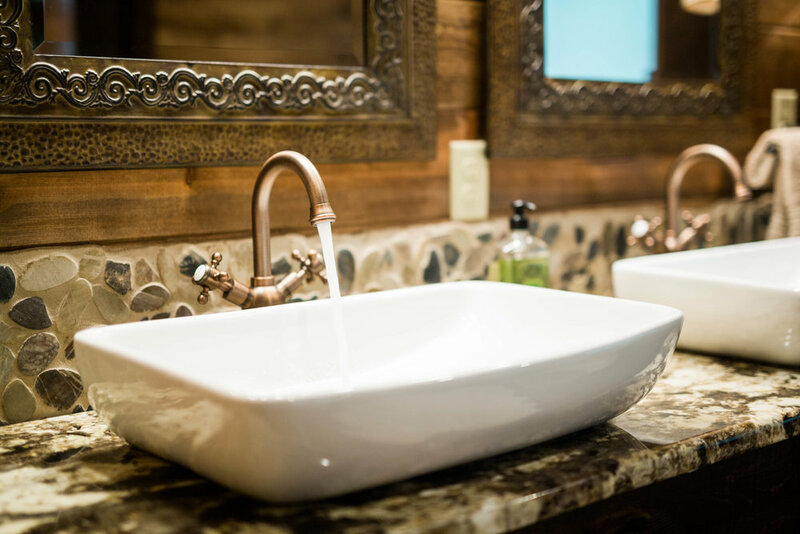 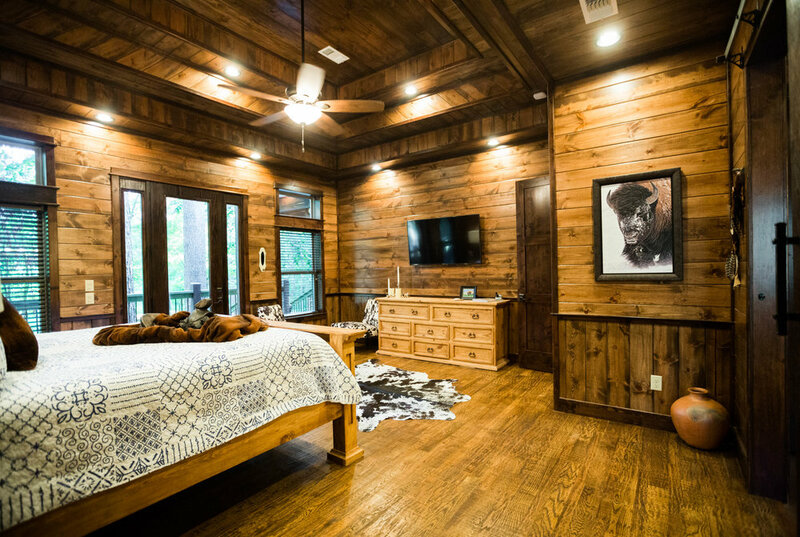 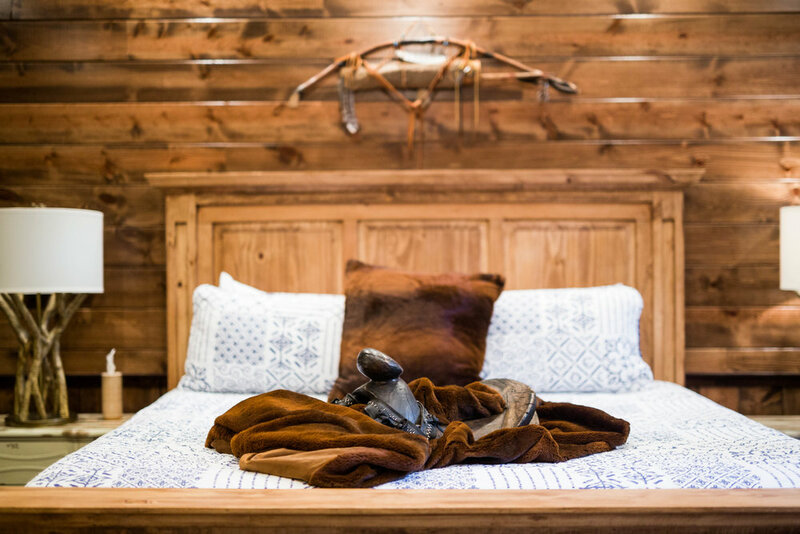 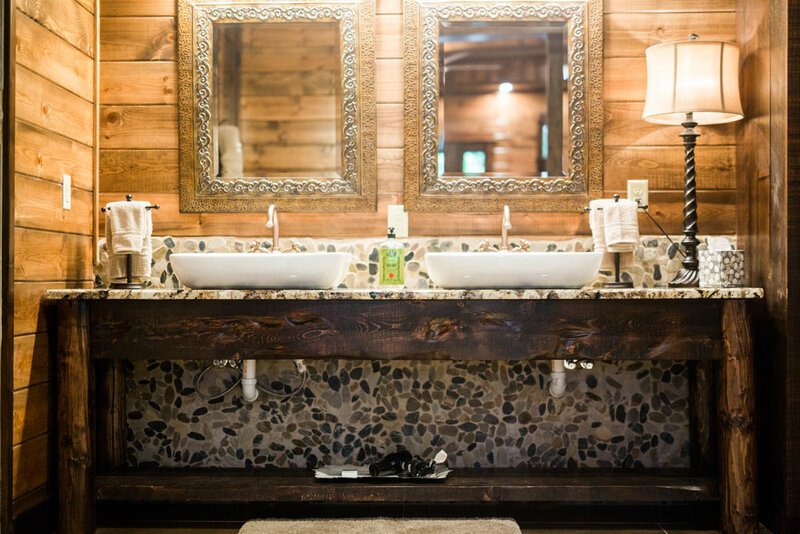 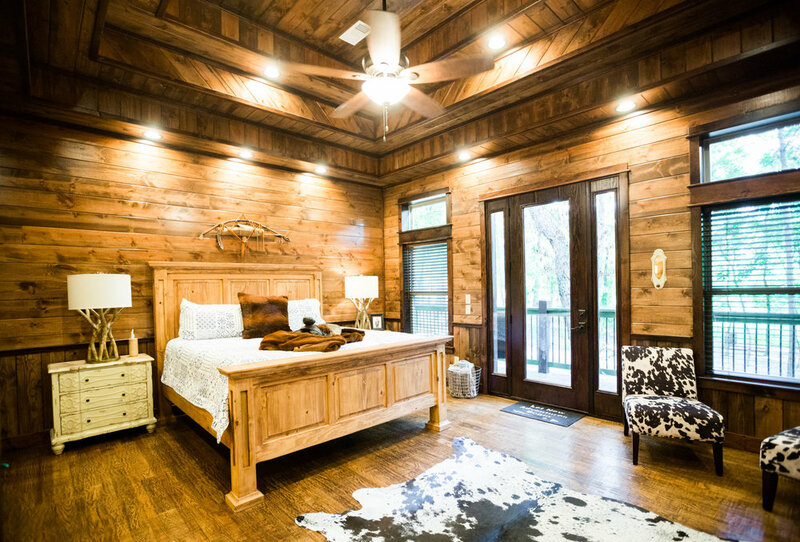 Located directly across the highway from the Carson Creek Entrance to Broken Bow Lake, Lasso The Moon provides the benefits of being in the piney woods and also close to all the activities in the Hochatown area. 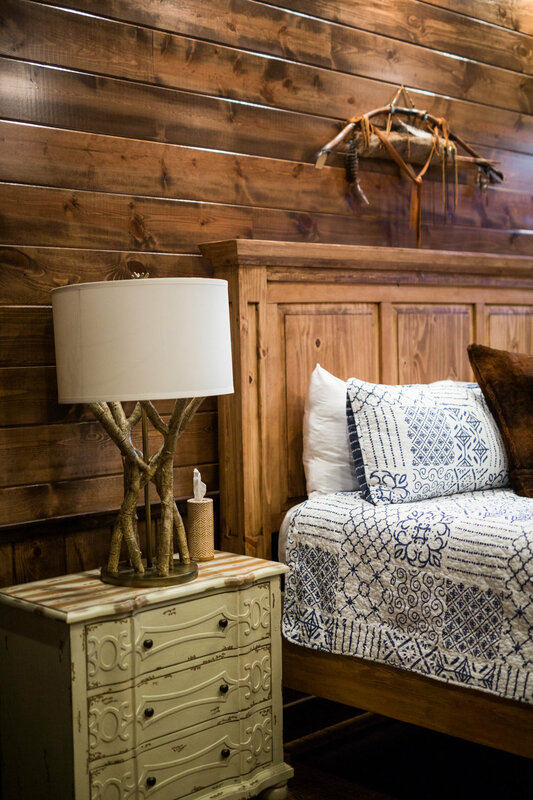 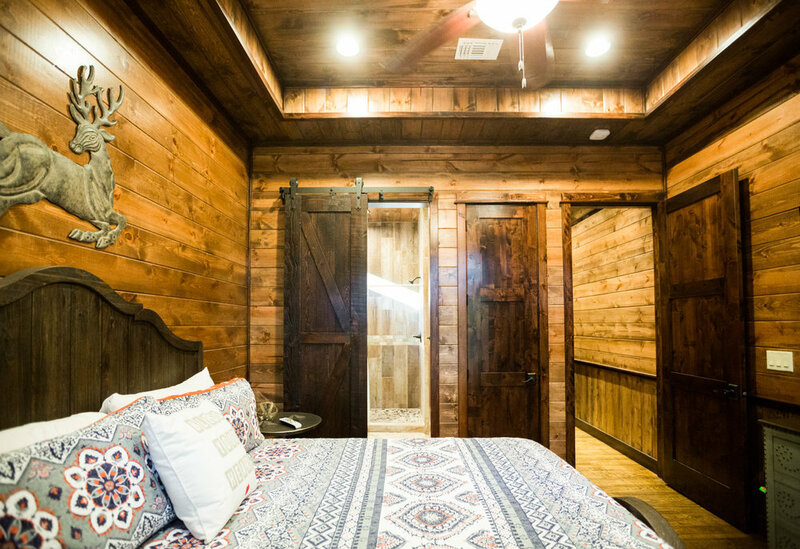 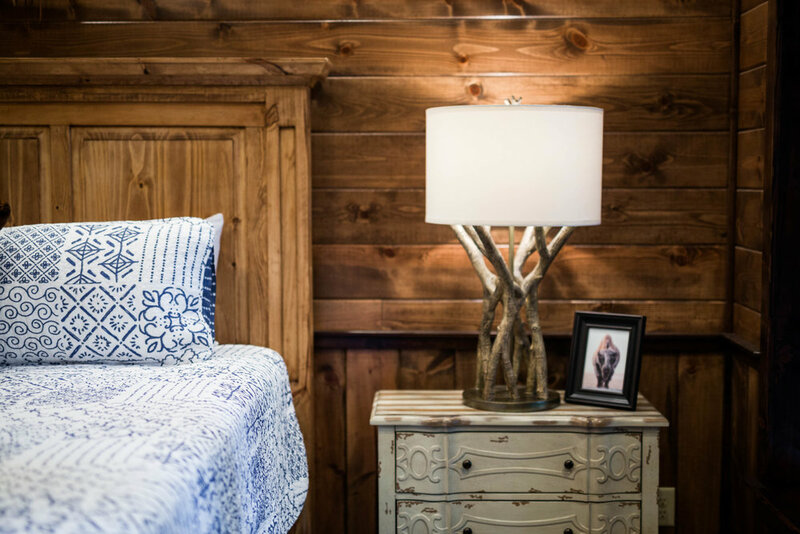 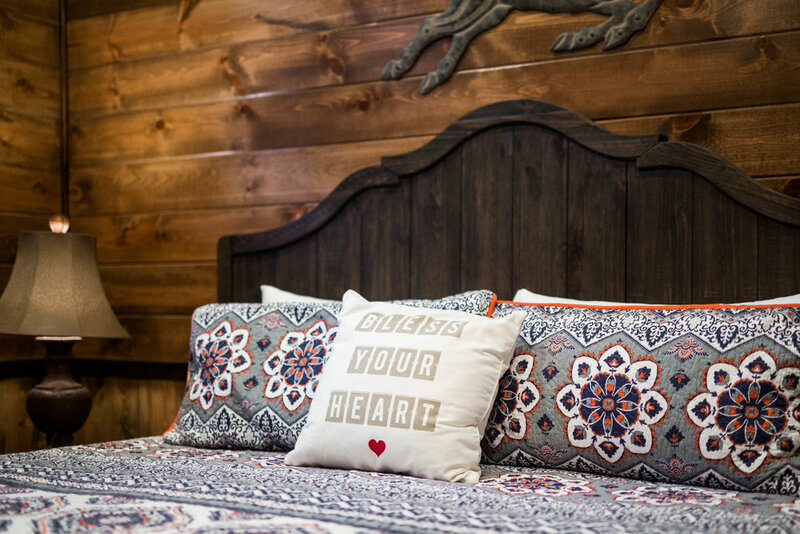 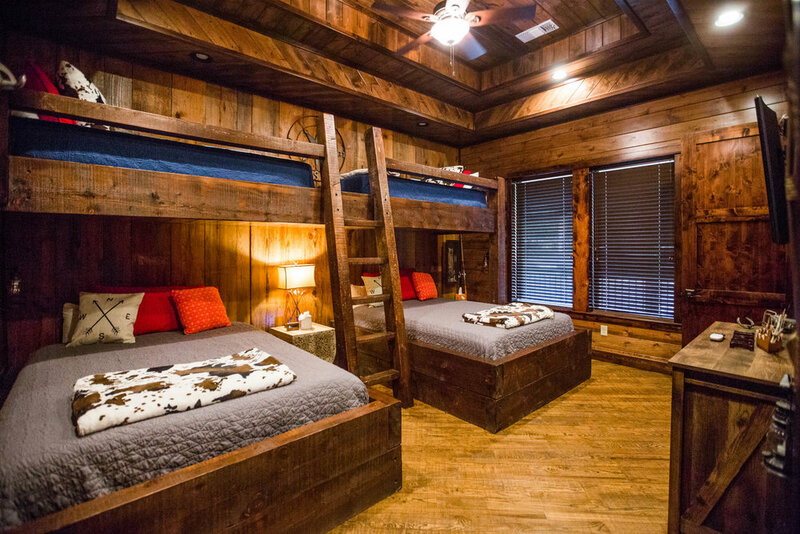 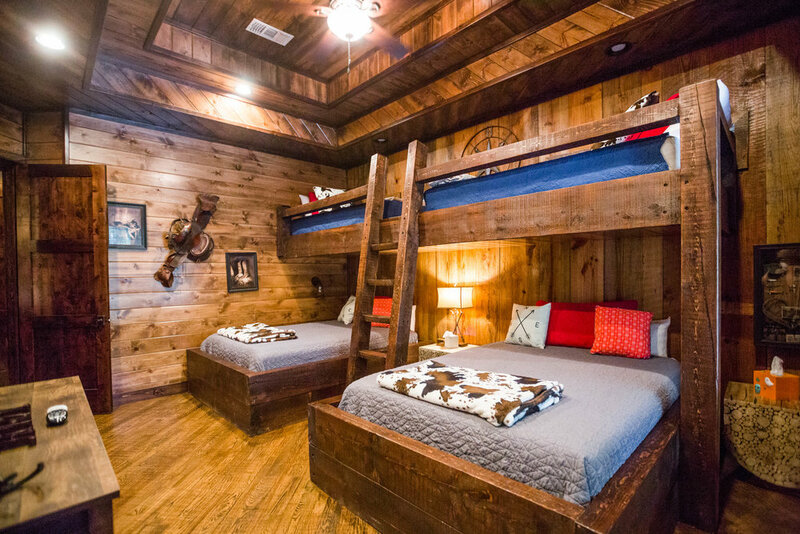 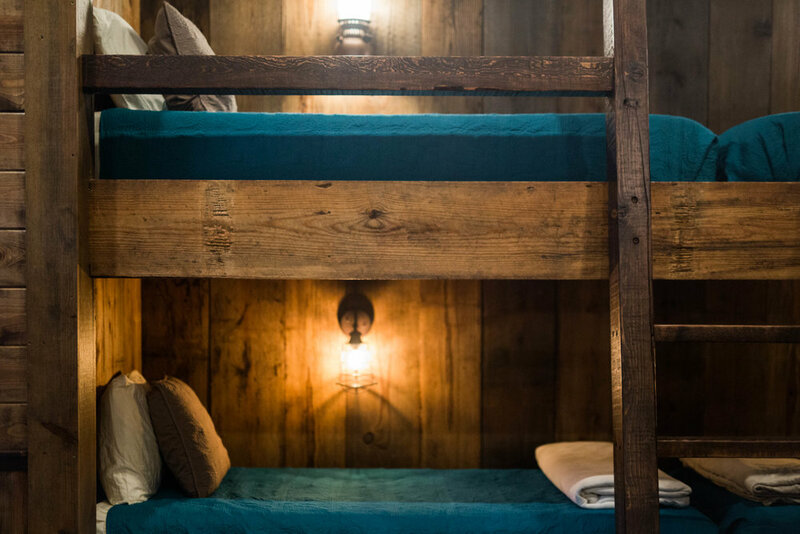 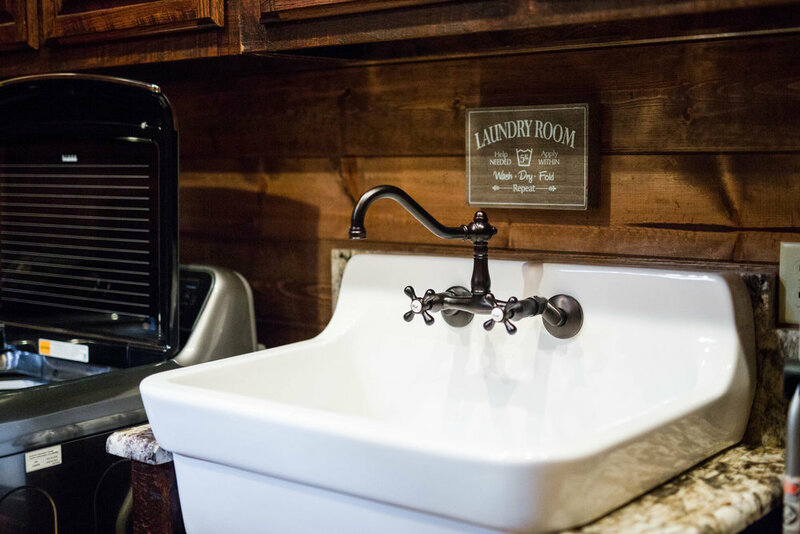 The cabin features 2 King Bedrooms, a family bunk room with 2 Queen Beds and 2 Large Twin Bunks, and 4 Extra Large Bunks is the Game room. 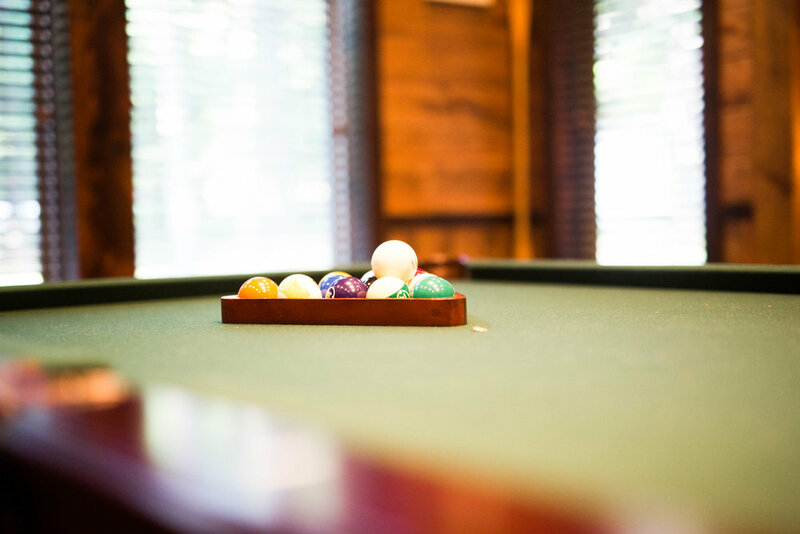 The Game room is perfect for friends and family to enjoy playing pool and watching sports or movies on the 55" Samsung Television with Direct TV while other guests enjoy the open family area in the kitchen, dining, and family room featuring a 65" Samsung with Direct TV. 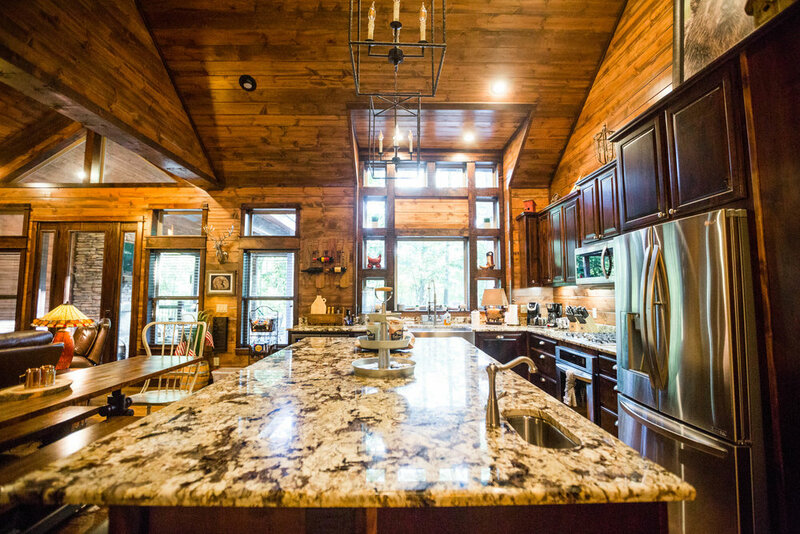 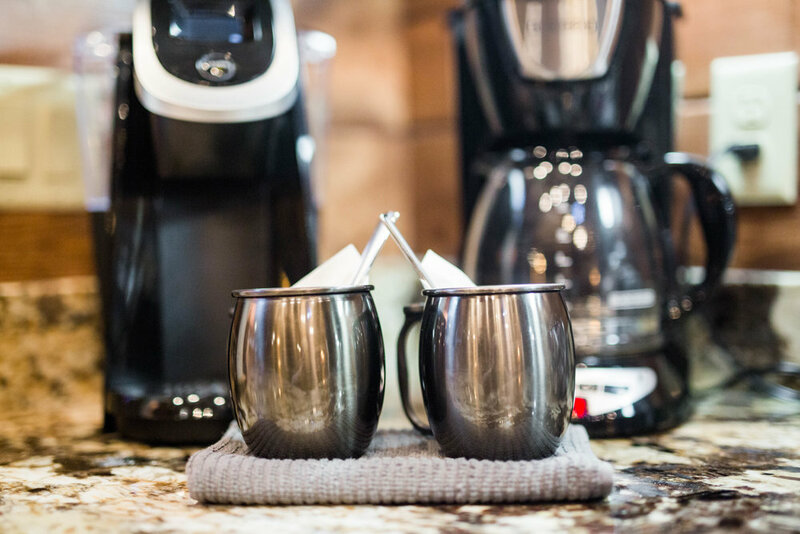 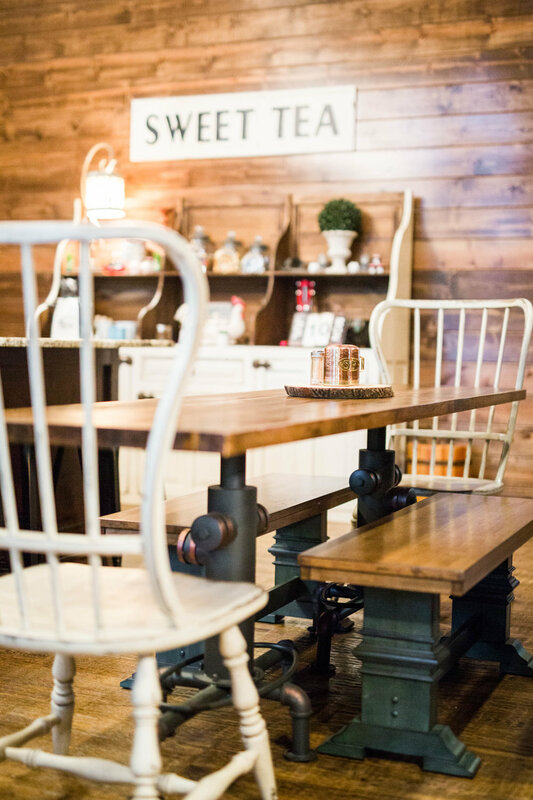 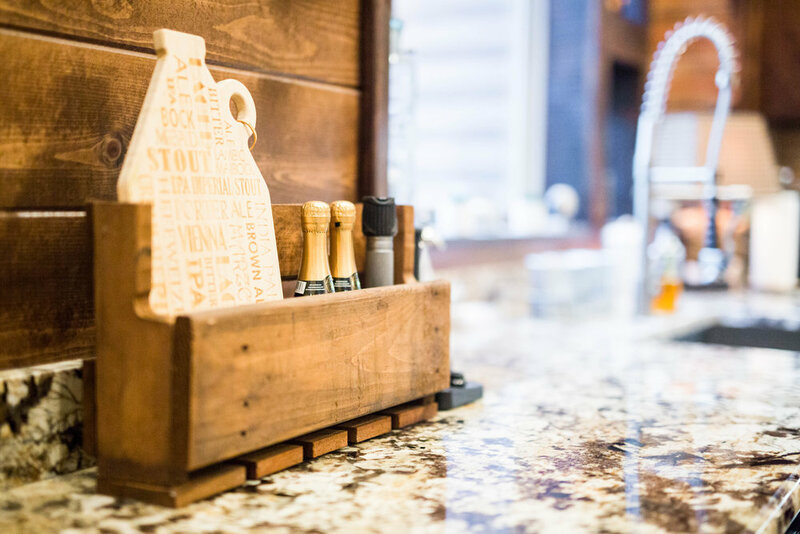 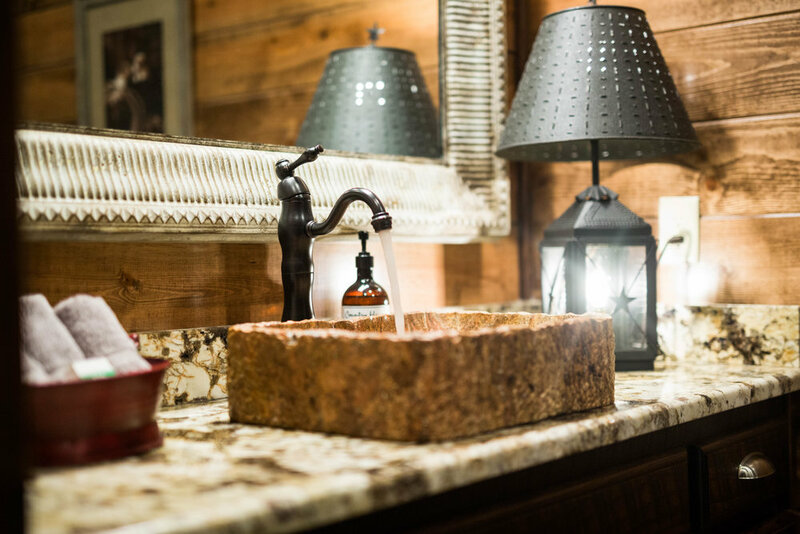 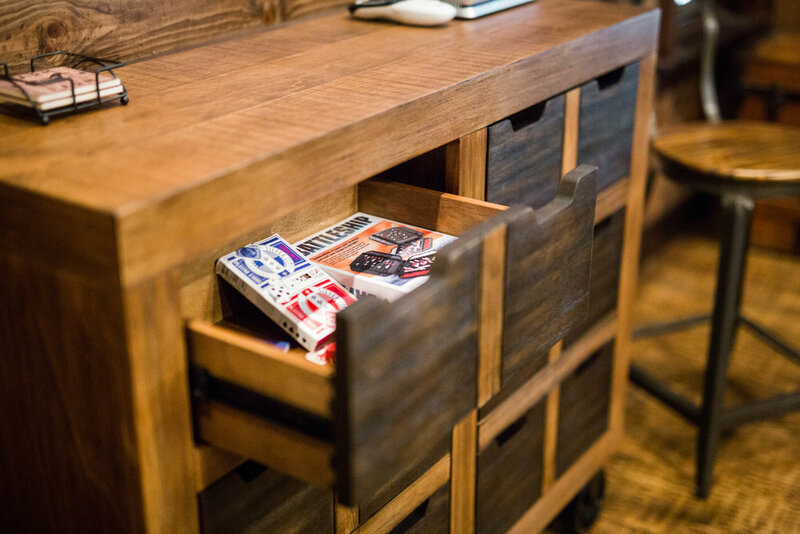 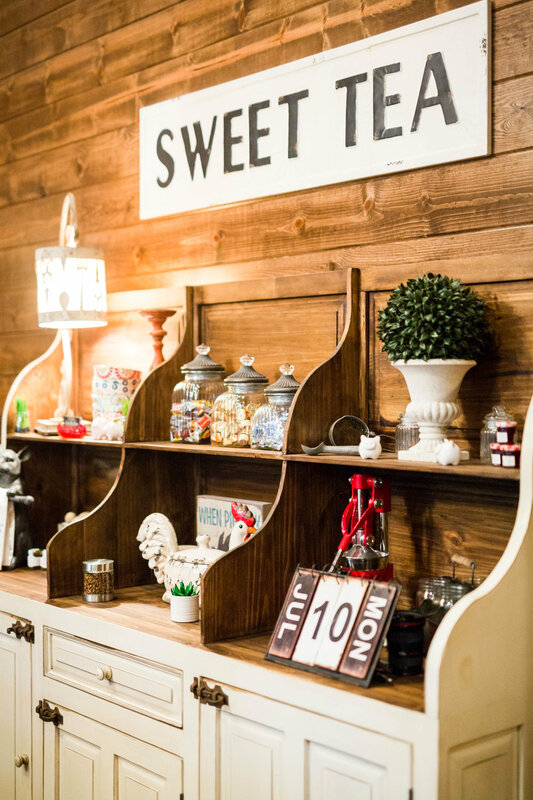 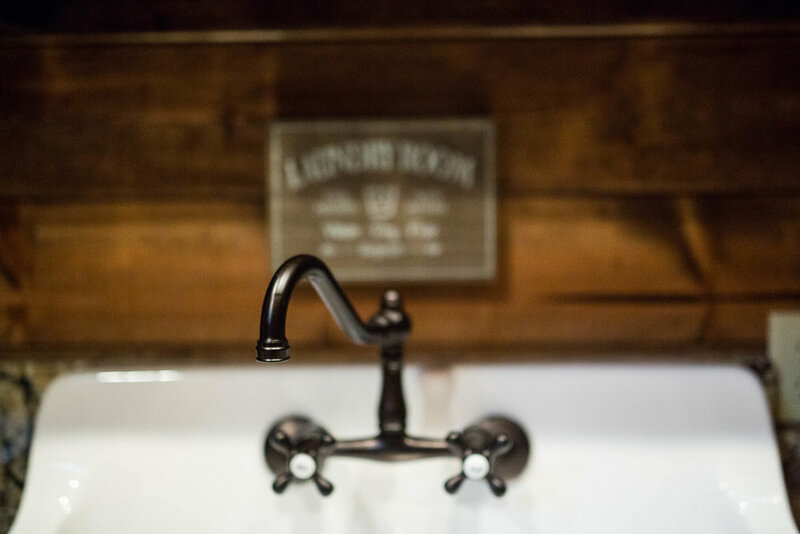 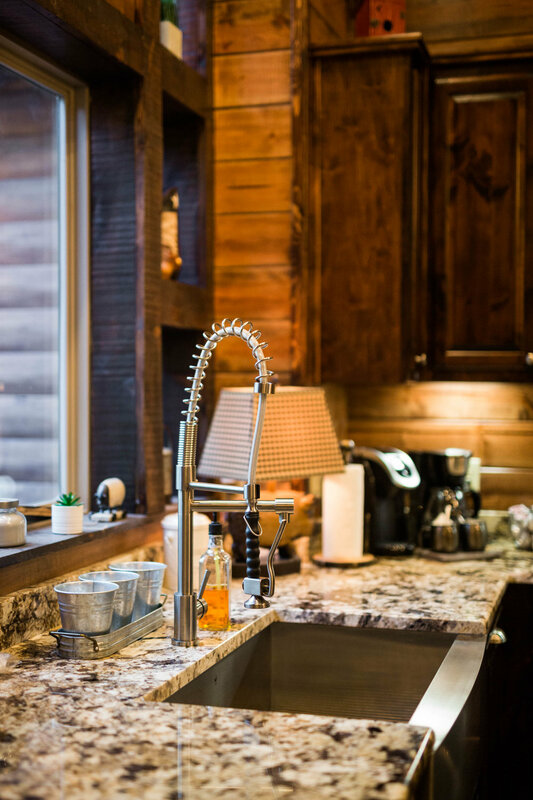 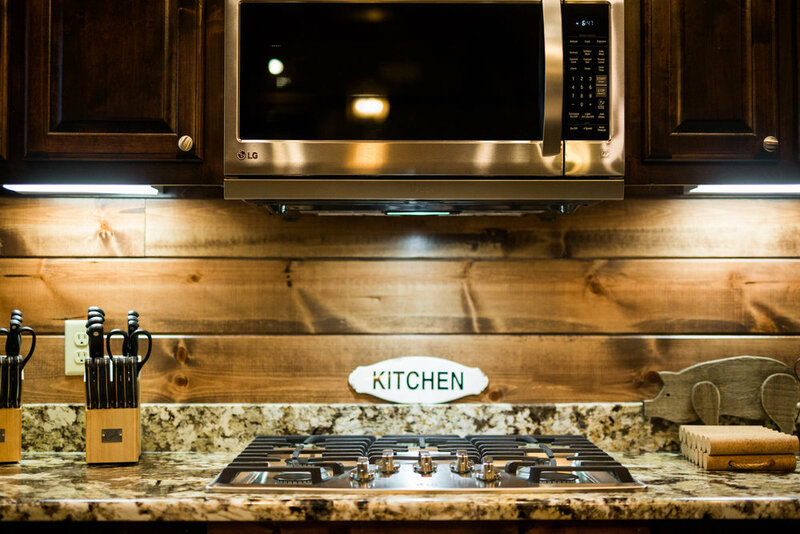 The kitchen is fully stocked with everything needed to prepare a wonderful meal for your friends and family. 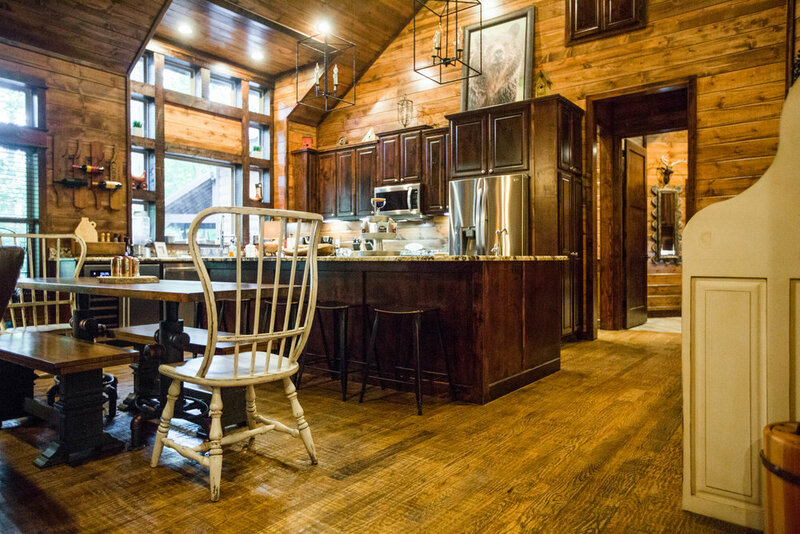 There is also plenty of room for family dining. 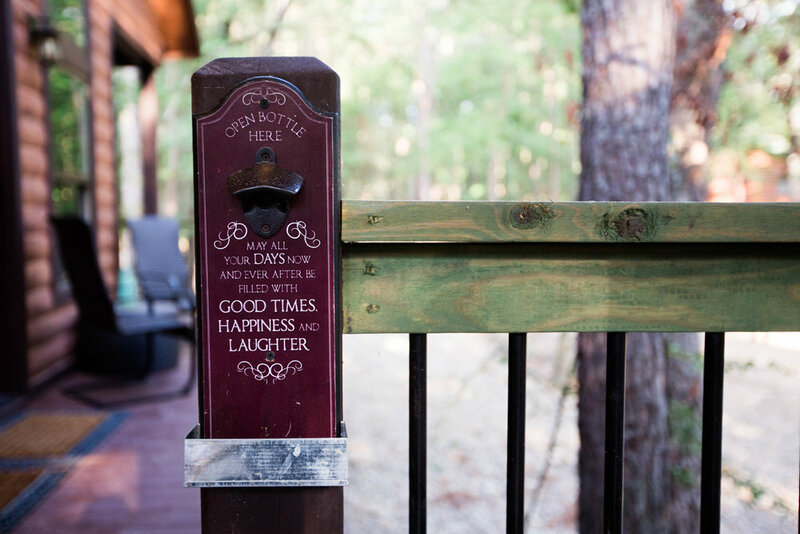 The views outside from the back deck are peaceful and serene; you are sure to enjoy watching deer and other wildlife in the meadow while sipping your favorite morning beverage. 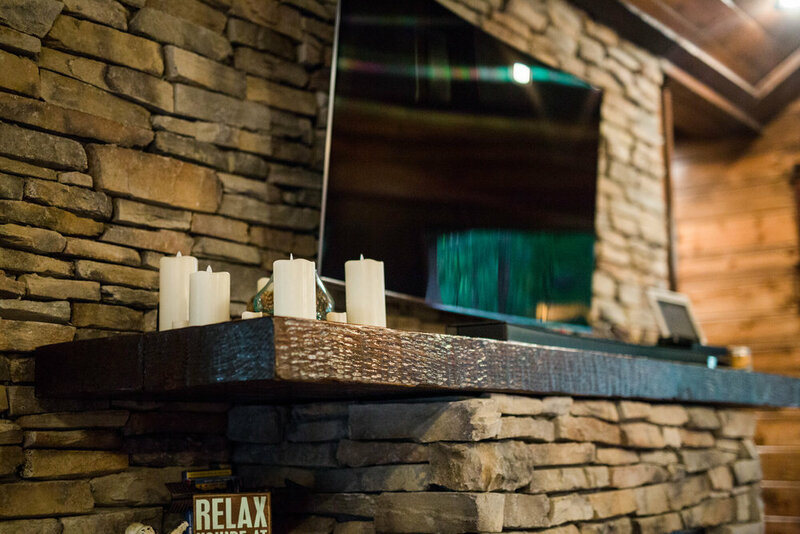 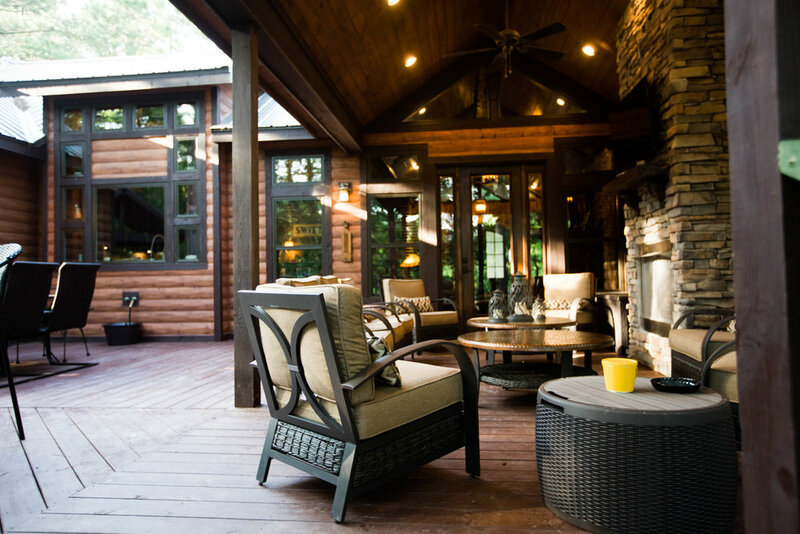 Additionally, the outside fireplace is a perfect place to lounge and catch up with friends and family while also watching the outside 48" Samsung Television. 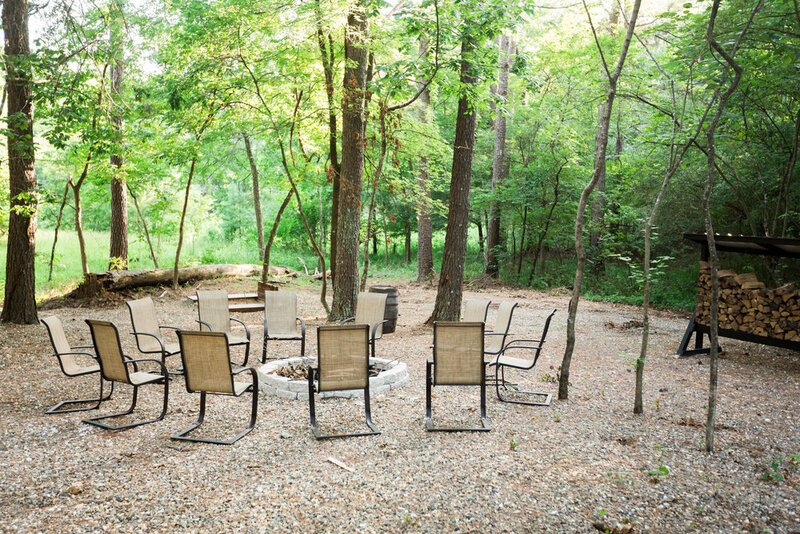 Cook outside on the Weber Gas Grill. 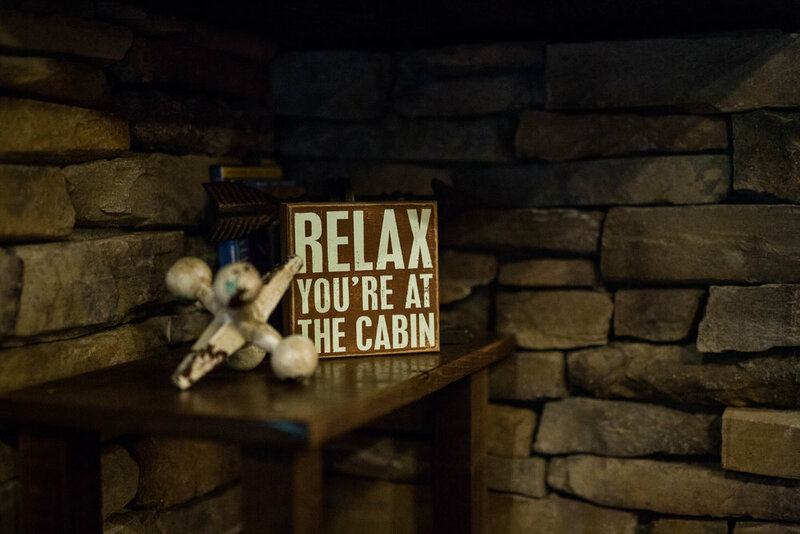 Relax in the 7-person Hot Tub Cabana. 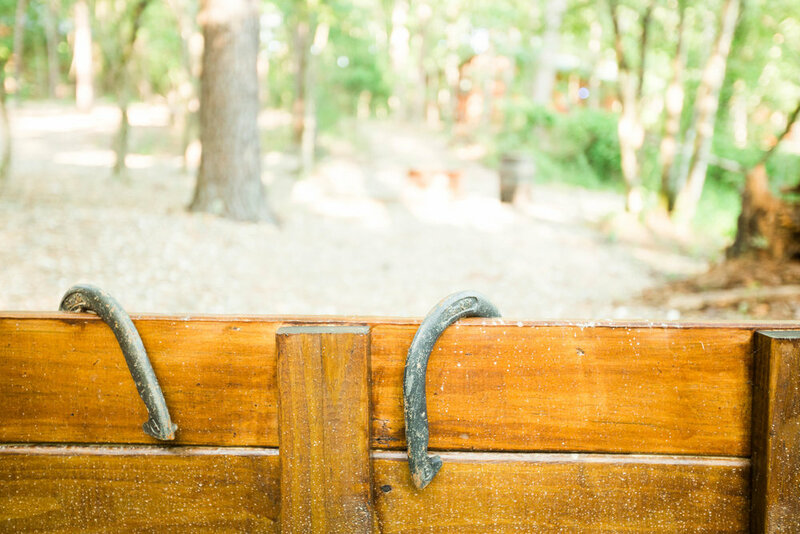 Also, play a competitive game of horseshoes! 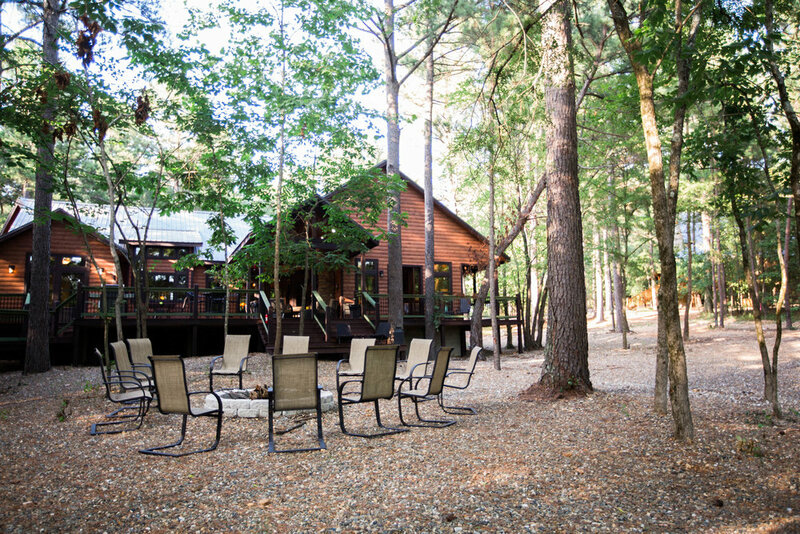 Or, simply enjoy the beauty of the forest and take a hike through the woods to enjoy its beauty.